The customer wanted the above dresser stripped of the old dark french polish and then refinished by sanding back and then applying natural bees wax to give a lighter finish. 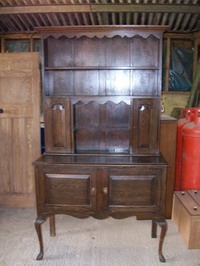 The completed welsh dresser after being stripped using Paramose TS10, re-sanded and then waxed using natural bees wax. 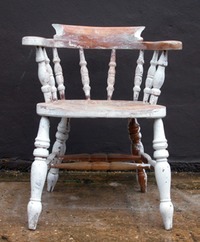 Timber Restorations offer a full stripping service for all types of furniture from external doors and internal doors, to antique and modern furniture from chairs to tables, cabinets, dresser and chest of drawers. We have two types of stripping systems that we employ to strip customers furniture the first being a hot caustic dipping system. This system is used to strip paint from pine doors and furniture, and consists of a 1000 gallon tank containing warm caustic soda solution. The item to be stripped is submerged in the solution and the paint is dissolved and the furniture is then washed off to remove all remains of paint and stripping solution leaving the furniture cleaned of all paint. 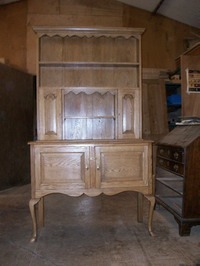 The furniture is then dried and is then ready to be returned to the customer. The second system that we use is a non-caustic stripping system which uses a water soluble chemical (Paramose TS 10). This system is used to strip all types of hardwood as it does not harm the wood or alter the colour of the base wood (Note you should never place any hardwood into a caustic solution to strip it, as it will open up the grain and turn the wood a dark green / black colour). The furniture to be stripped is placed in a flat tray and is then dowsed with stripping chemical and hand stripped to remove all paint, polish or lacquer. 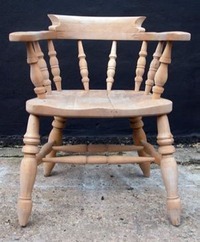 It is then washed off and dried ready for further finishing or to be returned to the customer. The normal turnaround for stripping internal pine doors is 3 to 4 working days. 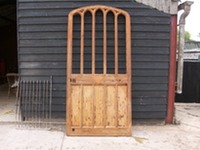 We do offer a same day service for stripping front and back doors, this is by prior arrangement, please call us for details.